One major contributing factor is the reduction in pensions as a result of the Tier 2 public safety retirement program. That's the less lucrative retirement system the Legislature created in 2010. This pledge backs a new bill that aims to restore police pensions to the pre-2009 Tier 1 level with the hope that restoration would increase police recruitment, retention and morale. S.B. 129, the bill to improve police pensions, has passed through the House and is awaiting Gov. Gary Herbert's signature! 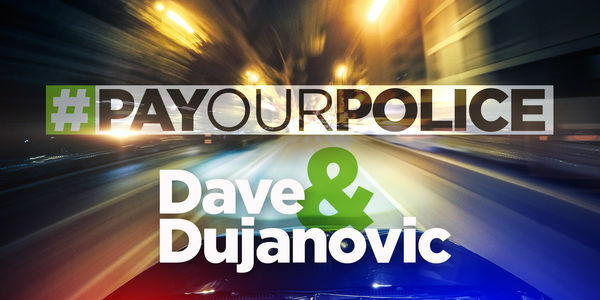 KSL's Dave & Dujanovic would like to extend a heartfelt thanks to everyone who signed the #PayOurPolice pledge and helped make this happen! Thanks to you - we have almost 4,000 signatures! We will be broadcasting live from Capitol Hill on Monday from the historic chambers for the opening day of the legislature. Wouldn't it be amazing if we could show our lawmakers that we already had 10,000 people sign this pledge? Please SHARE with your friends and family and help us reach our goal this weekend!